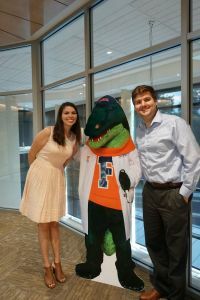 At the University of Florida, our psychiatry residency will prepare you with the training and confidence to tackle any of the many diverse and expanding fields of psychiatry. With a large and distinct class of residents and faculty, our program will provide you with a wide variety of clinical experiences and a concrete foundation upon which to build your career. During your training, you will be exposed to a range of clinical environments including the Malcolm Randall Veteran’s Affairs Hospital along with the University of Florida facilities. The VA will offer training and experience in Emergency Psychiatry and Psychiatry Consultation with a unique patient population. The VA also offers an entire floor dedicated to in-patient psychiatry with 4 teams that specialize in mood, psychosis, addiction, and geriatric psychiatry. 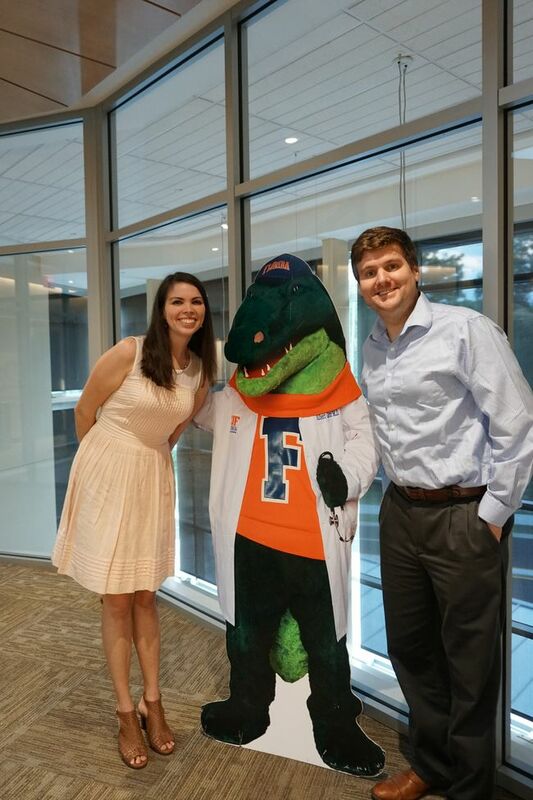 Alongside the VA, the University of Florida facilities provide our residents with a level of experience and training distinct from that offered at the VA. From child psychiatry to geriatric psychiatry and everything in between, residents will rotate with multiple UF teams throughout their training. These include the UF Psychiatry Consultation Service, Unit 52, as well as UF Shands psychiatric hospital. Unit 52 is a unit dedicated to patients with significant medical comorbidities and severe psychiatric illness. The Shands Psychiatric hospital, our stand-alone psychiatric hospital, provides our trainees with multiple inpatient units that specialize in mood, psychosis, addiction, and geriatric psychiatry. We are proud of the caliber of attendings we have guiding our program. Many have additional training in the fields of forensics, geriatrics, addiction, and child and adolescent psychiatry. One of the greatest strengths of our program is the collaboration between residents and attendings. Residents are treated as colleagues from the beginning and given the autonomy to direct care with the support of attendings. We believe in learning by doing. In addition, we are well-supported by both the attendings and fellow residents and have specific programming targeting resident wellness. Are you ready to become a Gator?